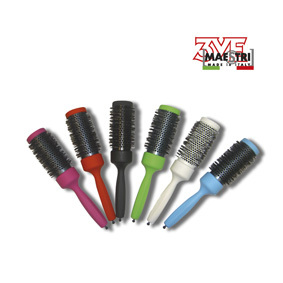 A revolutionary new concept for circulation of hot air brush by innovative technology that allows you to hair stylist to halve processing times. AIRPOWER, studied in the research laboratories of technological 3ME. It's the new brush set to revolutionize the universe hair stylist. With AIRPOWER you can reach very high temperatures (up to 180 ° C) and maintain a constant heat. 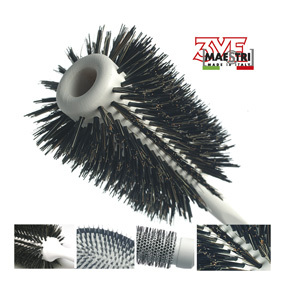 The particular air vortex that is created in the cavity of the brush ensures uniform drying of the hair will be silky and bright. 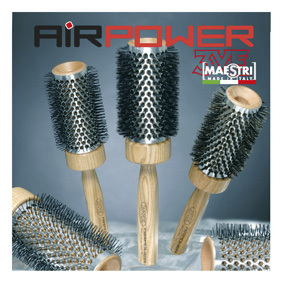 AIRPOWER is a complete line of brushes that caters to every need, from the hair to get fine and delicate, varying diameters and types of bristling, the hair thicker and difficult to comb. The hair stylist will be able to choose, from time to time, the most appropriate instrument.